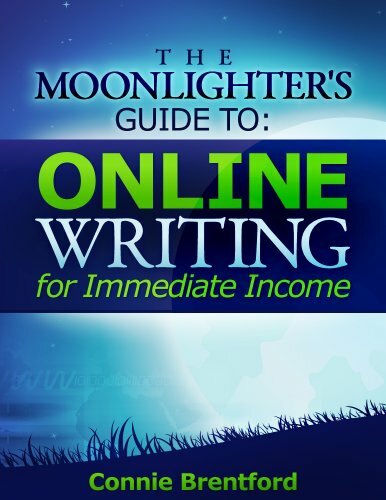 To make more money writing, you need all the tools you can get. A good education and an expanding vocabulary are an excellent start but even seasoned writers can use a good editor. Fortunately, technology is getting better at automating the editing process for writers. Even if you struggle with English as a second language, with a good online spelling and grammar checker and the willingness to keep learning to improve your writing, you can publish good quality writing that will sell for top dollar on freelance writing sites. PaperRater is a useful tool recently recommended by another Constant Content writer. After giving it a try, I can report that PaperRater is a fantastic tool. It is fully featured and super fast. The grading feature goes beyond just checking if the article is free of spelling and grammar errors and actually tells you if the article is going to stand out as high quality work or not. Cost: The biggest feature is that the entire site is currently free. Yup, completely free - ZERO cost. There are also no ads on the site, no affiliate links, no way for the site to make money at all. The FAQs say that the site is a startup that may introduce a Premium version of the service in the future and may introduce ads in the future but the core service will always be free. I can't say that this is a modal that will keep PaperRater alive for ever but it sounds like the developers (linguistics professionals and graduate students) behind the site are more interested in research into computer intelligence than making a quick buck today. Diversity of Content: The submission process allows the selection of a range of content types and the academic level you are trying to write at. Options range from high school through PhD level writing. For typical web writing I would recommend setting the level at undergraduate University standard as this strikes a balance between sophisticated and readability for the average person. It is often said that newspapers are written at a Grade 8 level, but setting the bar a little higher makes sense if you are trying to sell your writing. Spelling: The site has a better spellchecker built in than Infobarrel does, which is really nice. Questionable spelling is underlined in Red for your review and possible correction. The site gives its best guess of the correct spelling. Remember that foreign words, technical terms, names and some more obscure words may actually be correct in your writing. Grammar: Grammar suggestions get underlined in green within the text. Explanations are provided and often good suggestions. "Reword tribes: Bias words and phrases may express gender, ethnic, or racial bias. These can turn people off. Bias-free language has the same meaning and treats people with respect. Replace tribes with - ethnic groups"
Verb Phrases The category of verbs labeled "to be" identifies phrases using the passive voice. Use the passive voice sparingly, in favor of more direct verb forms. The verb category "aux" measures the use of modal auxiliary verbs, such as "can", "could", and "should". Modal auxiliary verbs modify the mood of a verb. Conjunctions The conjunctions counted by style are coordinating and subordinating. Coordinating conjunctions join grammatically equal sentence fragments, such as a noun with a noun, a phrase with a phrase, or a clause to a clause. Coordinating conjunctions are "and," "but," "or," "yet," and "nor." Subordinating conjunctions connect clauses of unequal status. A subordinating conjunction links a subordinate clause, which is unable to stand alone, to an independent clause. Examples of subordinating conjunctions are "because," "although," and "even if." Pronouns Pronouns are contextual references to nouns and noun phrases. Documents with few pronouns generally lack cohesiveness and fluidity. Too many pronouns may indicate ambiguity. Nominalizations Nominalizations are verbs that are changed to nouns. Style recognizes words that end in "ment," "ance," "ence," or "ion" as nominalizations. Examples are "endowment," "admittance," and "nominalization." Too much nominalization in a document can sound abstract and be difficult to understand. Vocabulary Score: The site rated your vocabulary against other writers and assigns a score out of 100. Examples of enhanced vocabulary words used are given and a warning is issued if your piece does not include a strong enough vocabulary. Grade: The checker assigns an A- B - C scale grade for testable qualities based on the level of education you selected at the beginning of the process. While this is only an estimate of what a human instructor might assign, it can be a good indication of the technical quality of the writing. Human judgement factors like the quality of support for arguments and logic of positions presented can not be measured well by the computer, nor can the mood of the instructor so don't expect a human will give you the same grade every time. Plagiarism Checker: The site can (optionally) verify uniqueness. However, when I tested the tool with a newly published and live Infobarrel article the result was 92% uniqueness. It is possible that the new article has not been indexed yet though. The checker did identify that one tested article quoted the Great Commission text from the NIV (and gave just three sources for this key text) but did not find that portions of the article were fairly extensively rewritten from Wikipedia content. Therefore I rate the reliability of the originality checker as weak. Unlike some similar websites that cache a copy of the article and show it in future searches, PaperRater does not keep the document and will not reference it in any future originality checks. This makes the site safe to use for writers planning to sell their articles or students submitting papers that teachers may check online. Printable Summary: A newly releases feature, the printable summary gives most of the information the dynamic boxes give. Title Checker: According to the site's blog, the computer will tell you if there are problems with your title. I did not see that feature though. Vocabulary Builder: While not part of online checker, there is an area to learn new words in. Hopefully PaperRater.com will help you become a better online writer that can more easily sell articles on freelance sites like odesk and gain more credibility on revenue sharing sites like Infobarrel. I have never heard of this site. I am going to check it out. Thanks for another helpful article. I like your product review one as well. Good site to improve your writing with, especially for work you plan to sell. This looks like an excellent program to try out. Thanks for sharing this information. Paper reader looks to be a good online spell and grammar checker. Thanks for sharing with us. Thanks for sharing another excellent tool. I had a lot of fun putting some of my personal writing through the proof-reading tool and having it graded. I hadn't had anything I'd written graded for years, even though, as a teacher, I have to grade others' writing on a daily basis. Very interesting! I am going to give this a try ASAP! Thanks, Jade, for all you do! Interesting indeed, never heard of this before! Thank you Jade Dragon I will check this site. I use PaperRater all the time amd love it. You may have found this out since writing this article, but in case you haven't - The Title checker only shows up in the result if there's a problem with your title. For example, if you haven't capitalized correctly, it'll show up as the first step in the results. If the title you've entered is fine, you won't get that step. That must be why I never saw the title checker come up. I don't use the site much because I can self edit and use built in spell check on articles to a standard I'm happy with, but I did test it for purposes of sharing the tool with other writers. It's a pretty good writing tool. Thanks for the review, I didn't know about it and I definitively need a tool like this. On a side note, I just used it to check an article that was denied here because of awkward English and the only things PaperRater found was the use of the words "smartphone" and "except"... I am pretty sure these aren't the reasons why my article was denied. the denial may be for a couple small errors. Try reading it aloud. Hi Jade. I tried using the site and I was really impressed. I'm not really a great in english since I ain't a native english speaker so things like these really help me a lot. Jade, Great tip! I enjoyed reading about PaperRater. I'm pretty strong in vocabulary, and pretty good with grammar, but there are others who are better than me, and I'll rely on them for catching punctuation errors. I'm gonna try this! This site remains an excellent resource. What an awesome resource! I was looking for something like this. Thank you!